1. 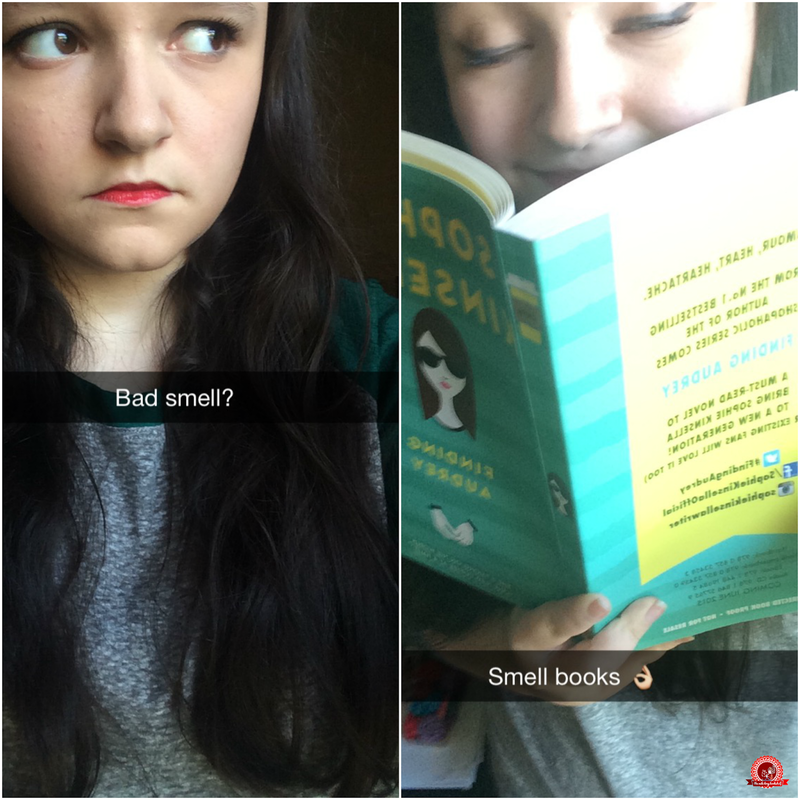 Life hack: if something smells bad, just dive into a book. Literally. 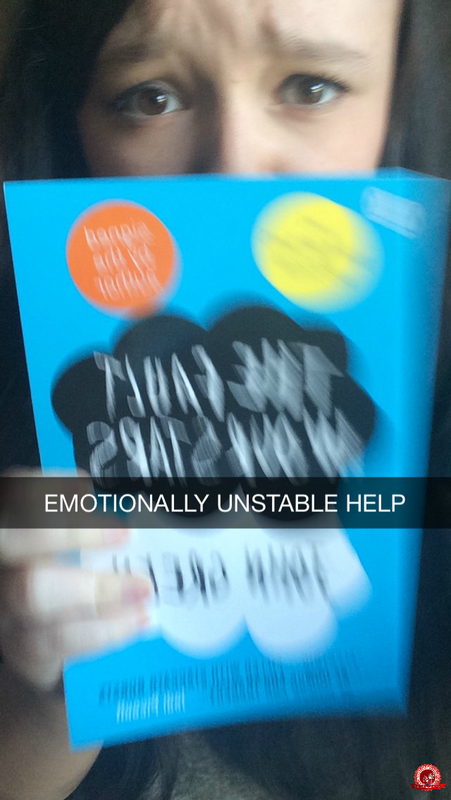 2) John Green: ruining the lives of fangirls everywhere since 2005. 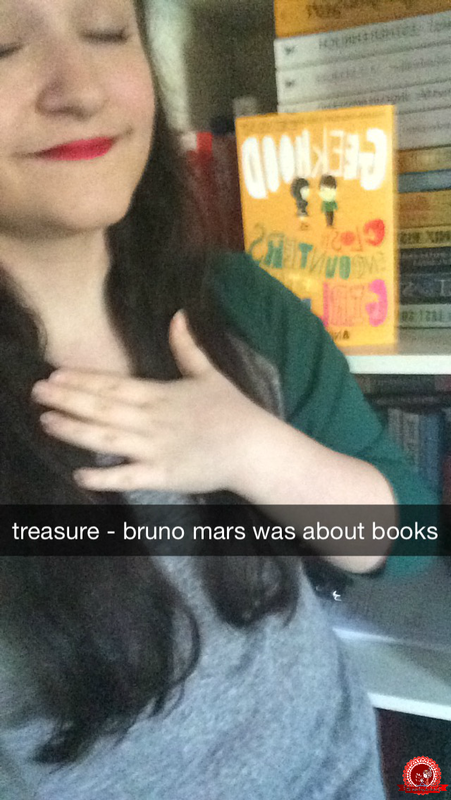 3) Treasure by Bruno Mars was quite clearly about books. He's lying if he says otherwise. 4) GO. AWAY. YOUR PRESENCE IS NOT WANTED HERE. 5) I have so many friends. I don't mind that my friends are fictional. Look at my friends. Hundreds of friends. I'm popular with my friends. Look at that selfie with all of my friends. My friends love me. LOOK AT THEM ALL. 6) Sometimes we go to the salon together. 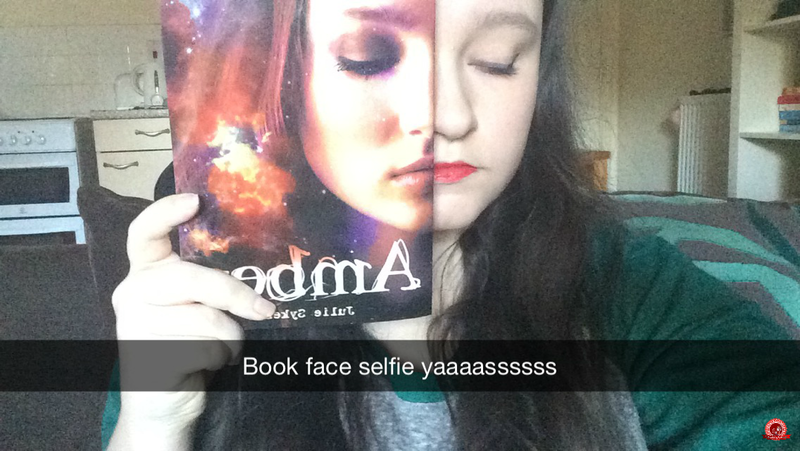 7) Who needs plastic surgery when you can buy a book for roughly £6.99? There we go, another life hack. You're welcome. 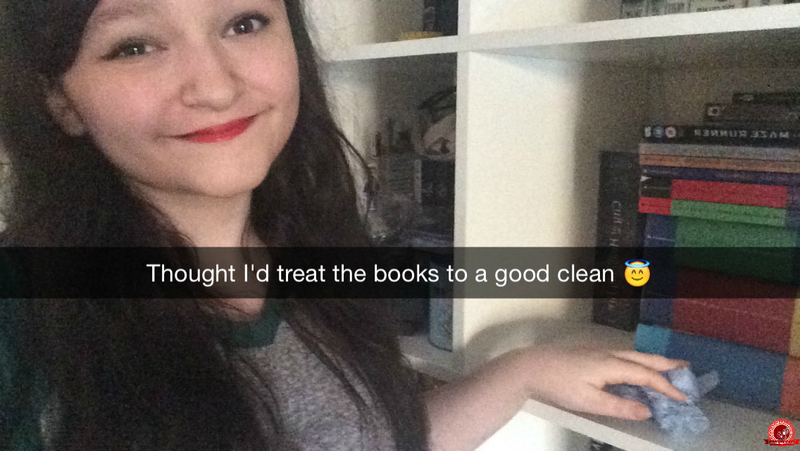 Okay, so not everyone has Snapchat. Truth is, I don't even use it. 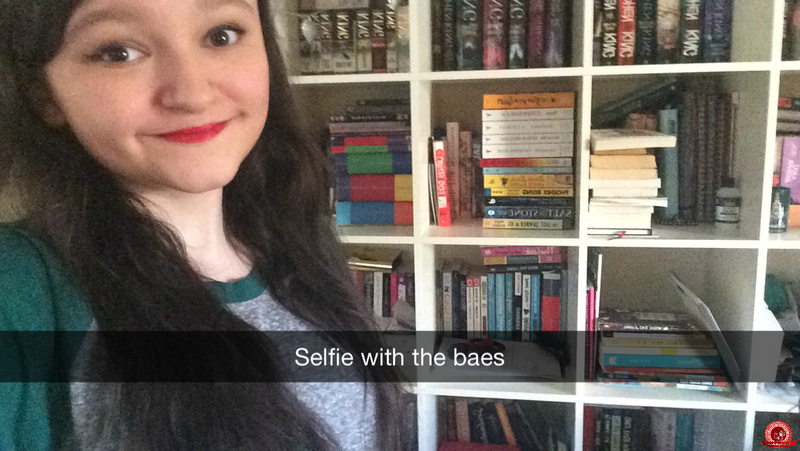 But are you on Instagram, and do you follow far too many bookworms? Das ist the question. Only one way to find out. I don't have snapchat but these are all so true! The amount of times I've wanted to do number 4 is actually ridiculous. I actually have an uncanny ability to be interrupted right when I'm nearing the end of a book, and I've frequently wanted to do my best Heisenberg impression and tell them that, if you interrupt me while I'm reading, I AM THE DANGER! (Breaking Bad reference). In regards to John Green, I shall always thank him for introducing me to Neutral Milk Hotel, one of the few bands that have ever brought me close to tears. Listen to the song Two Headed Boy or Holland, 1945, if you want to get a taste of them. They're the band that's mentioned in Will Grayson, Will Grayson. Same! I'll be just a few pages away from the end and then suddenly people want to have loooong discussions with me. So annoying. Do they think that I'm not reading the book in my hands? That I'm just holding it for fun? Gah. I LOVEEE SNAPCHAT. Though I only break it out when I'm feeling a teensy weensy bit crazy on a boring day. I must say though those are some awesomeee snaps! I ESPECIALLY liked Snap #4. 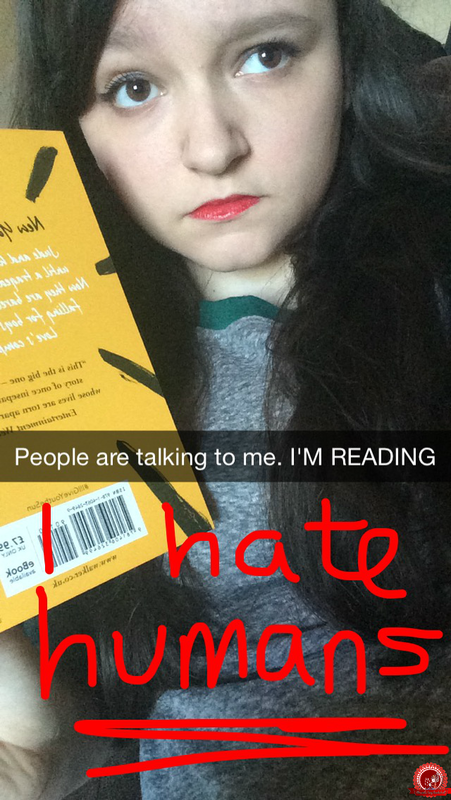 You perfectly captured the "you annoy me, I'm reading" look right there. LOL , THIS SUCH CREATIVE POST AMBER.